Community Leadership Summit 2011 – A Few Weeks Away! Not long now until the Community Leadership Summit 2011; an annual event designed to bring together community leaders and managers to share best practice, ideas, and solutions. The event is entirely free and takes place from 23rd – 24th July 2011 in Portland, Oregon. The event takes place the weekend immediately before OSCON in the same venue, the Oregon Convention Center. To join us you need to register, and over 260 people have already registered from a diverse range of organizations including Mozilla, O’Reilly Media, Rackspace, Adobe, Partimus, Red Hat, Google, Portland State University, Open Affairs Television, Apache Software Foundation, Xen, Digium, IBM, Microsoft, CloudCamp, OpenSesame, Oregon State University Open Source Lab, Wikia, Eucalytpus, MySQL, MeeGo, Linaro, Oracle, Linux New Media, BitNami, SUSE, setiQuest, Webtrends, Alfresco, Northeast Coalition of Neighborhoods, Open Source Bridge, OpenStack, Joomla!, Peace Markets, Infinity Curve, MoreThanGiving.com, TYPO3 Association, and many more. Awesome people having a rocking time and building stonking communities. What’s not to love? If you are interested in community and building great community for your organization or project, be sure to come and join us. The event is an unconference, and as such the content and topics are driven by the attendees, which has resulted in a rich set of content and great best practice shared across many different disciplines. I also want to offer my thanks to O’Reilly, Oracle, OpenStack, Ohloh, and Microsoft for helping to support the event! Interesting In Coming? Simple. Just go and register (it is free) and feel free to share some session ideas that you may want to see or run at CLS11. 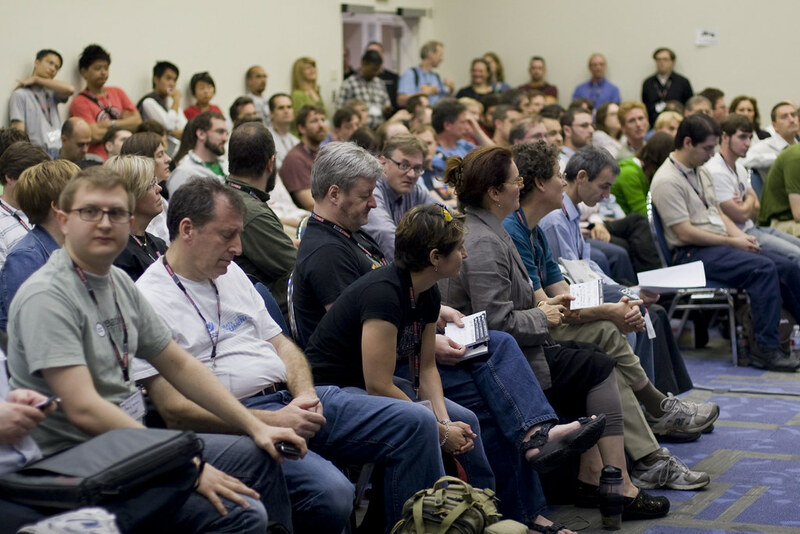 The CLS is an unconference, meaning everyone is welcome to volunteer a session while there. We start with a blank slate and then the audience put sessions up. Thanks to our generous sponsors, everyone who runs a session will get a free copy of my book, The Art of Community as a thankyou for running a session. If you are interested in running a session, we would love to see you plan your session with other attendees. To do go to the CLS11 Wiki and share session ideas and lightning talks for the event. Everyone is welcome to share ideas! Tweet about the event and be sure to use the #cls11 hash tag. Join the Facebook Event for further updates.